Sherry Anderson brings with her a career that spans some 40 years, with the last 8 having been with Stewart Title. In that span, Sherry has managed to close any type of escrow imaginable. Whether an REO, short sale, 1031 exchange, commercial property, new home, refinance, or resale, Sherry has closed it. It truly is an amazing quality to bring that much experience to the table to every escrow. 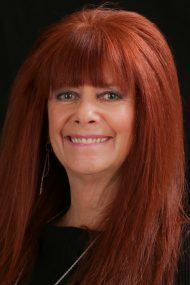 Sherry, now working in the Douglas Blvd corridor of Roseville, prides herself on the outstanding level of service she provides to all her customers and their clients. Focusing on clear and concise communication throughout the escrow is critical to Sherry, for this is a component on which customers rely. Moreover, her ability to manage her files with efficiency and organization creates calmness to the closing process. Her professionalism and maturity make agents return to Sherry, for she is an integral part of the process and a truly effective partner to all her clients. Establishing that trust has been a key ingredient to Sherry’s long-term success.